Sometimes it’s freaky to think about the ocean you swim in being full of weird creatures — what if a fish touches you? What if you step on a crab? But nobody frets about starfish. Starfish are universally popular — they’re cool, they don’t bite, they’re the easiest sea creature to draw. Unfortunately, they’re all dissolving into disgusting piles of goo now. Well, it was fun while it lasted. Starfish along the Pacific Coast from Alaska through Canada and California and into Mexico are rotting alive, and scientists are baffled. Oregon is concerned that the mystery disease will wipe out the entire starfish population in the state. 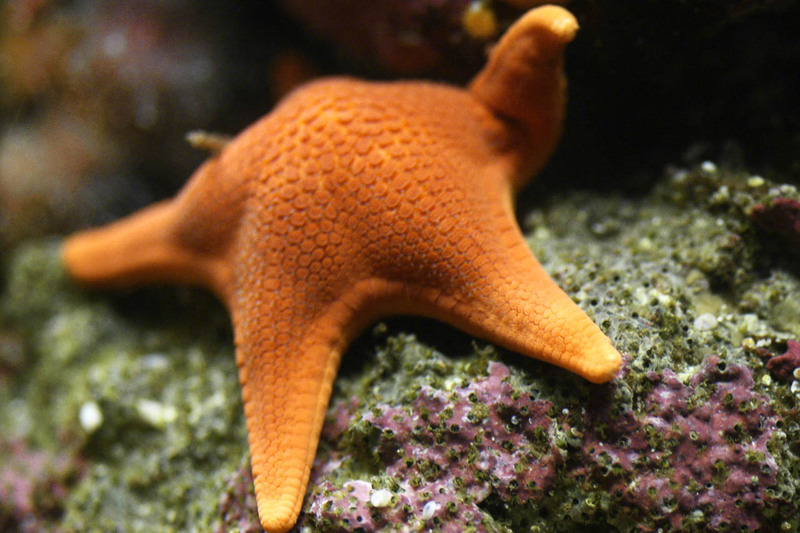 One marine ecologist at the University of British Columbia said he used to see up to 1,000 starfish along a 50-meter stretch of beach; now, he’ll see maybe one. What’s causing it? Who the heck knows. El Nino? Not this year. Fukushima radiation? Probably not. Climate change? Well, it isn’t helping. But this is probably either a bacterium, a virus, or — best guess — a one-two punch of both. In 2012, thousands of squid threw themselves onto California’s beaches, likely due to poisonous algae basically making them go crazy. Florida manatees suffered from a red tide algal bloom AND a mystery disease in 2013, and record numbers of them died. Whales are beaching themselves all the time, but sometimes it’s practically a fad — like the time in late 2008 and early 2009 when over 250 sperm whales died on the same Tasmanian beach over the course of several months. Thousands of fish in the Chesapeake Bay went abruptly belly-up in 2011, due to unusually cold temperatures.